Home / D. Neal Mastruserio, M.D. 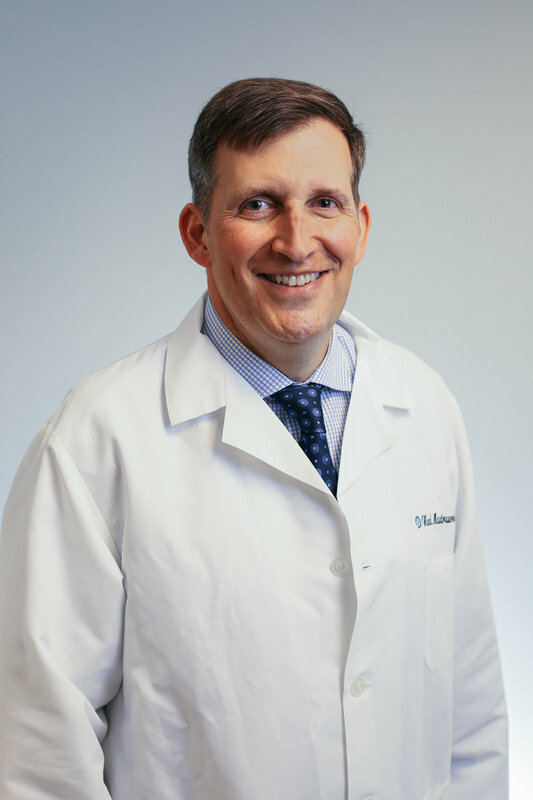 Dr. D. Neal Mastruserio has been a proud resident and practicing physician in the community of Upper Arlington since 1996. After residency in dermatology, he began his career working alongside Drs. James Hamilton and Ann Ansel before creating his own practice, D. Neal Mastruserio, M.D., LLC in 2007. Supported by an outstanding staff, our goal has been to provide the highest quality skin care in a warm, caring environment. A native of Cincinnati, Ohio, Dr. Mastruserio studied Biochemistry and Medicine at the University of Cincinnati earning several awards and honors, as well as a medical scholarship through the United States Navy. After an internal medicine internship at Bethesda Naval Hospital, he served as a General Medical Officer and Flight Surgeon for the next four years and counts these years as invaluable to his general medical knowledge and maturation as a physician. The opportunity to study dermatology at The Ohio State University brought Dr. Mastruserio back to Ohio where he completed his residency in dermatology in 1999, including a year as chief resident. Dr. Mastruserio has served as Associate Professor of Dermatology within the Division of Dermatology at the Ohio State University and been involved in resident and nurse practitioner training with Riverside Methodist Hospital, Mt. Carmel Hospital and the Ohio Dominican University. His interests include general, pediatric and surgical dermatology, as well as cosmetic work with an emphasis on laser procedures. Dr. Mastruserio is a fellow of the American Academy of Dermatology and the American Society for Dermatologic Surgery. He is also a member of the Ohio Dermatologic Association, the Central Ohio Dermatologic Society and the Columbus Medical Association.